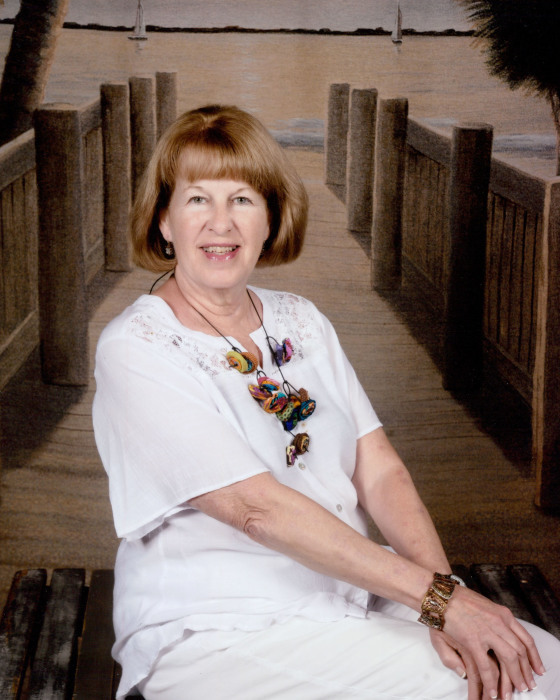 Debora Lester Brandon Harris age 69, of Lebanon, Tennessee, passed away Saturday, March 30, 2019, 5:15 am at TriStar Skyline Medical Center in Nashville, Tennessee surrounded by her loving family. She received her Heavenly Wings with her girls and husband of 39 years by her side holding her hand and praying with her. She was born May 16, 1949, to James Wallace Brandon and Geneva Finley Linam in Cleveland, Ohio. She was a 1967 graduate of Shelbyville Central High School and a graduate of Middle Tennessee State University and David Lipscomb University becoming her life’s passion as a Registered Nurse of 42 years. On February 23, 1980 she married Richard Dale Harris. They raised three daughters, Shelly Linville (Robert) Bryan, Kelly Dawn (Brandon) Bass and Cody-Dale (Michael) Claridy. Debby was enthusiastic about life. She never met a stranger and her infectious smile, kind and compassionate spirit and quick wit was truly contagious. She loved her Lord and Savior Jesus Christ, devoted husband, beautiful daughters and precious grandchildren Logan (Carly) Bryan, Austin (Kaelyn) Bryan, Mack Bass, Ella Bass, Charlie Claridy and great-grandchildren Patton Bryan, Parker Bryan, Houston Bryan and arriving soon Millie Jane Bryan. Camping with her family, love of food, a good party, and walking horses gave her joy. She was also a member of College Hills Church of Christ. She was preceded in death by her grandparents, Homer and Grace Finley, Jim and Frances Brandon; father, William Linam; father-in-law, Walter Lee Harris; sisters, Janice Brandon Huffman and Allison English; and sisters-in-law, Constance Brandon and Fran Wrye. In addition to her husband, children, grandchildren and great-grandchildren she is survived by her mother, Geneva Finley Linam of Cedar Hill, TX; her father, James Wallace Brandon and his wife Laura of Shelbyville, TN; brothers, James Wallace Brandon, Jr. of Olive Branch, MS; and Robert English of Nashville, TN; mother-in-law, Dorothy Houston; brothers-in-law, Josh Huffman and Walter Lee Harris Jr. and special family friends, Sandra Linville, Rebecca Linville Perkins, Anna and Tiegan Kaiser, Joann James and numerous beloved nieces and nephews. Funeral services will be on Wednesday, April 3, 2019 at 11 a.m. in the Partlow Funeral Chapel. Visitation will be held on Tuesday, April 2, 2019 from 4 p.m.-8 p.m. in the Partlow Funeral Chapel and again on Wednesday from 9 a.m. until the funeral service. Bro. Kevin Owen and Johnny Markham will officiate. Interment will follow on the Harris family farm. In lieu of flowers the family requests contributions be made to College Hills Church of Christ. Serving as pallbearers: Logan Bryan, Austin Bryan, Charlie Bryan, Charles Harris, Jason Harris, and Nolen Harris. The family would like to give special thanks to her healthcare team, Dr. Joseph Blythe and staff at Expert Spine Care, Dr. Cristy Stumb and staff and the doctors and nurses at Tristar Skyline Medical Center.